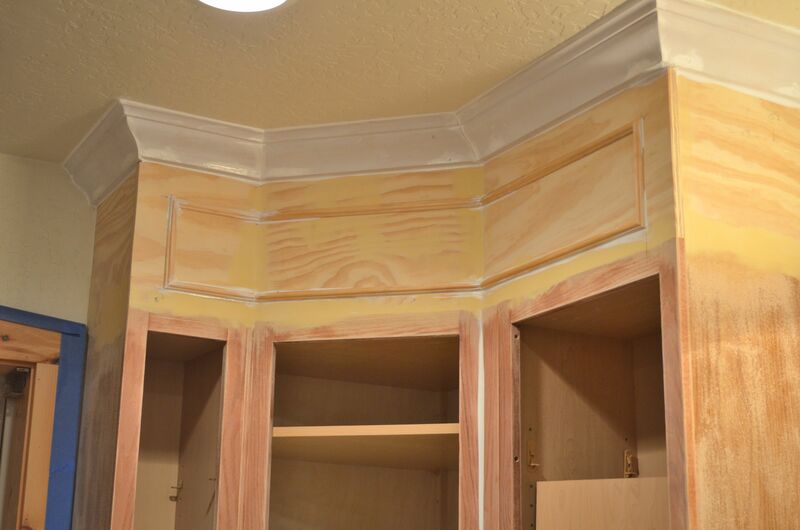 Alright so about that crown molding. 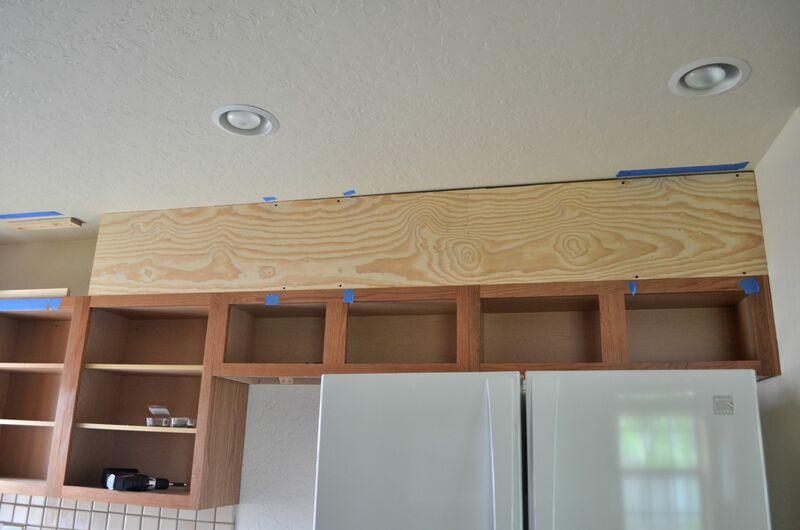 Yesterday I showed you the shady part of our reno process. Now it’s time to show y’all the light at the end of the tunnel. Mr. HungryYogi loves crown molding. He worked with it for years and became pretty good at installing it. He eventually wants to put it throughout our house. He believes that it can make any room appear grand. And I believe him. 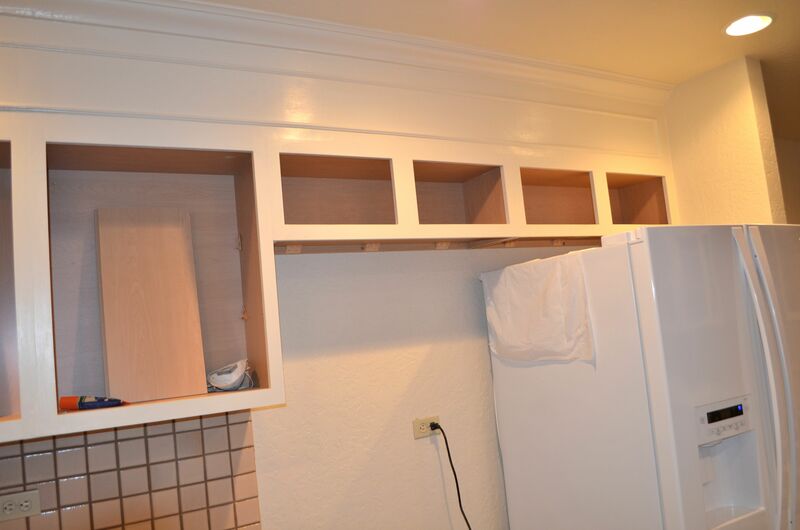 He told me he would extend the cabinets upwards but install crown so that it wouldn’t look plain. I said “OK” but really didn’t know what he meant. Have you ever had someone explain something to you but it’s hard to conceptualize? That’s pretty much what happened. He told me it would look good and that he could make it happen but I had a difficult time envisioning the end product. I couldn’t wrap my head around it looking like anything other than a slab of wood. But he did and he got to work. 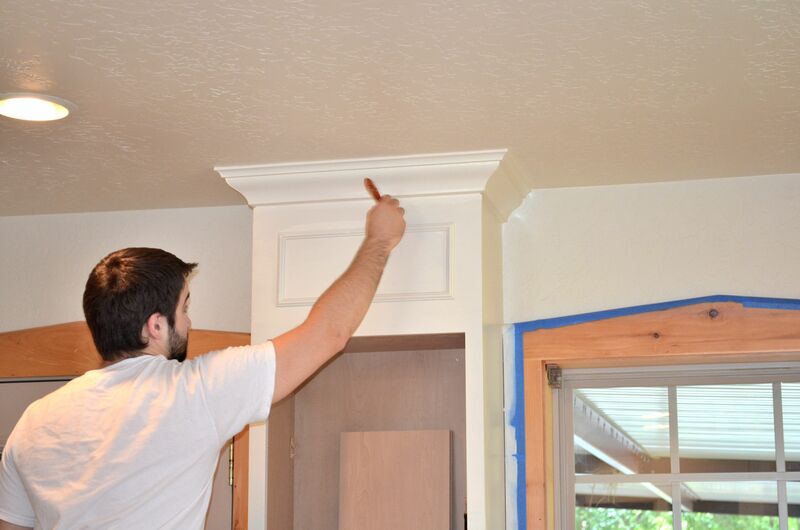 Before he put the crown molding up, I primed it. He then measured and cut it. We had a few hiccups along the way but eventually figured out the angles. 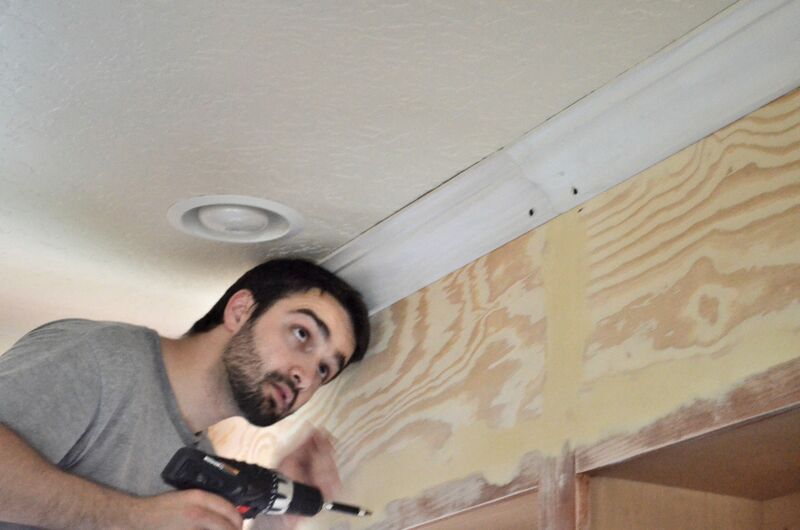 He said a nail gun would be ideal for adding crown molding but he used his drill and it worked fine. 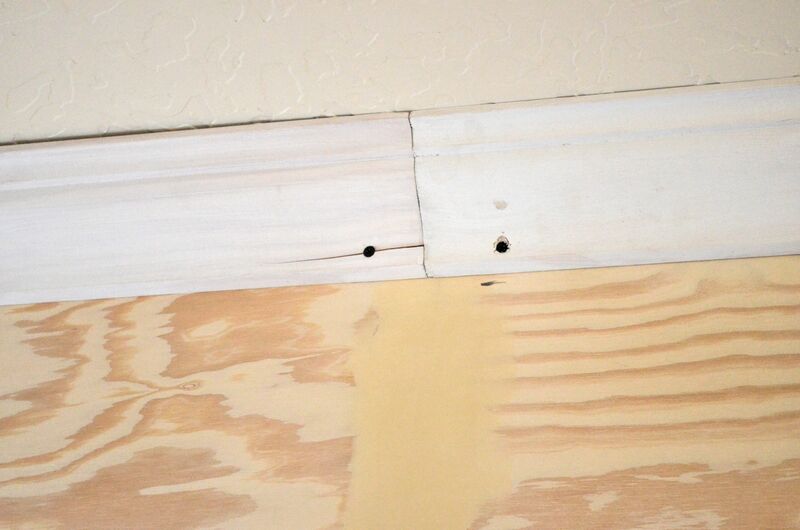 The problem with using a drill is that it splinters thin wood. Thank goodness for wood putty and caulking. A little crown went a LONG way in making the space come alive. He loved how it looked and took a few moments to admire how far it had come. He then decided that the crown was not enough. 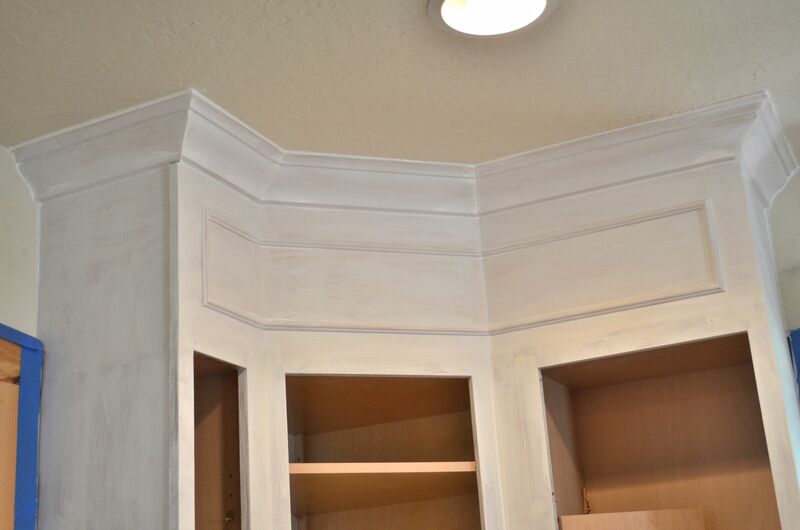 It would still be too plain so he decided to add trim. I had a hard time imagining the crown so when he said trim I just smiled and said “sounds good.” Based on how well it was coming together, I put total trust in his vision. 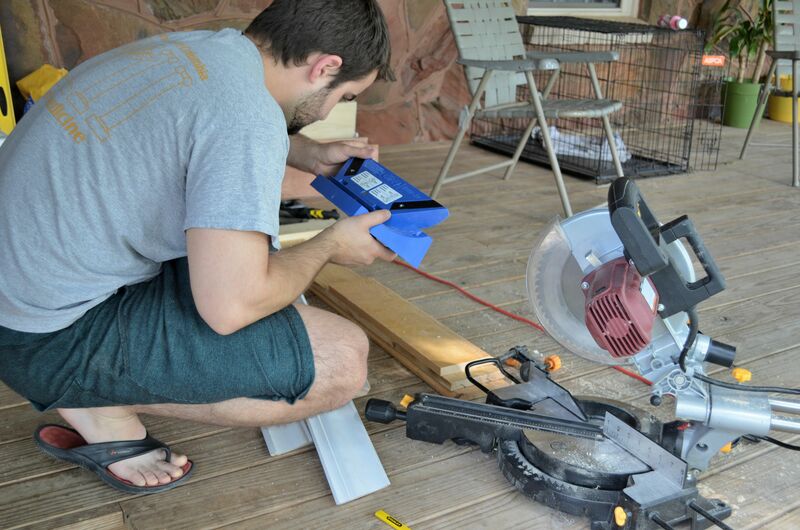 We went to the hardware store the next day, picked up some trim that could work and he did the usual, measure, cut, put up. 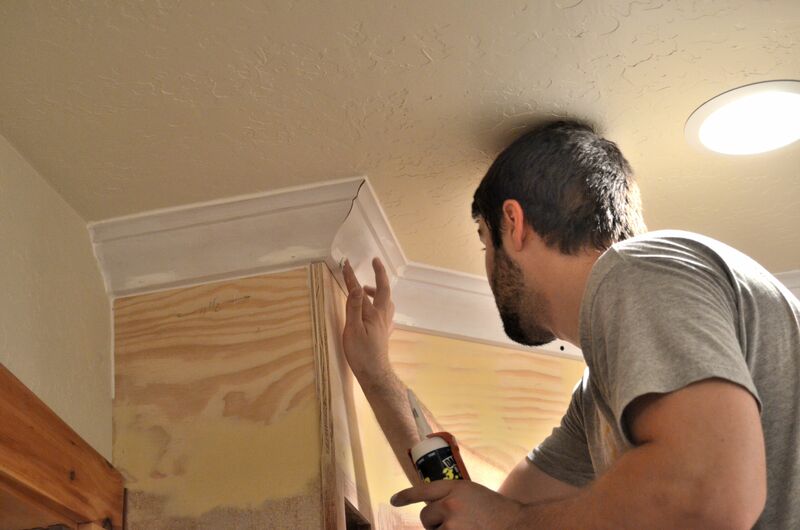 He used adhesive for the trim since it’s so light. He managed to get the pesky spot that would make or break the kitchen perfectly. It’s coming together. 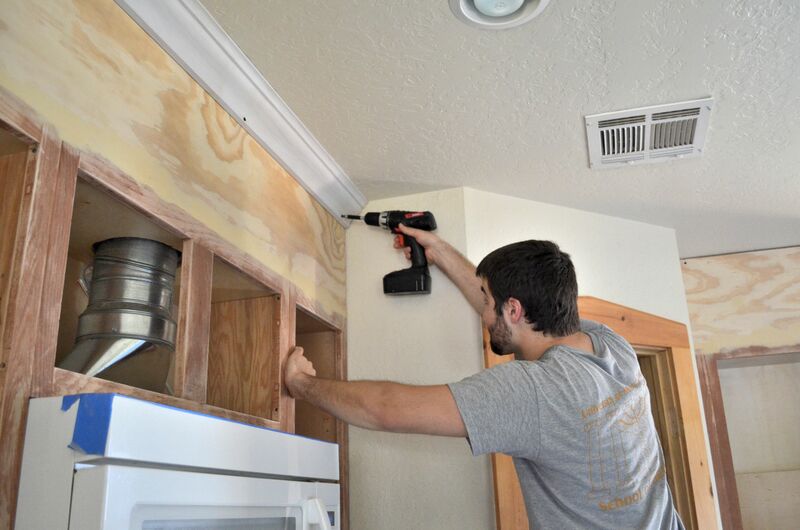 There is a light at the end of this DIY reno tunnel and it is shining bright! 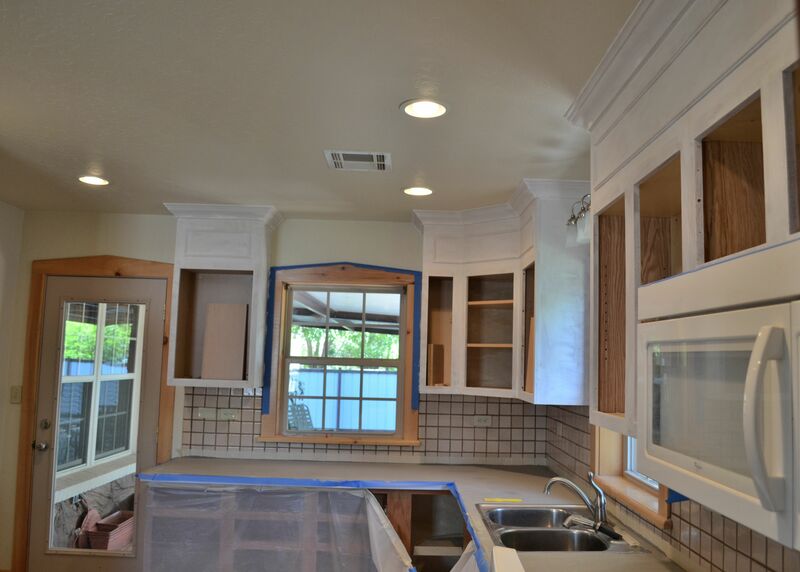 I LOVE the crown and trim addition. 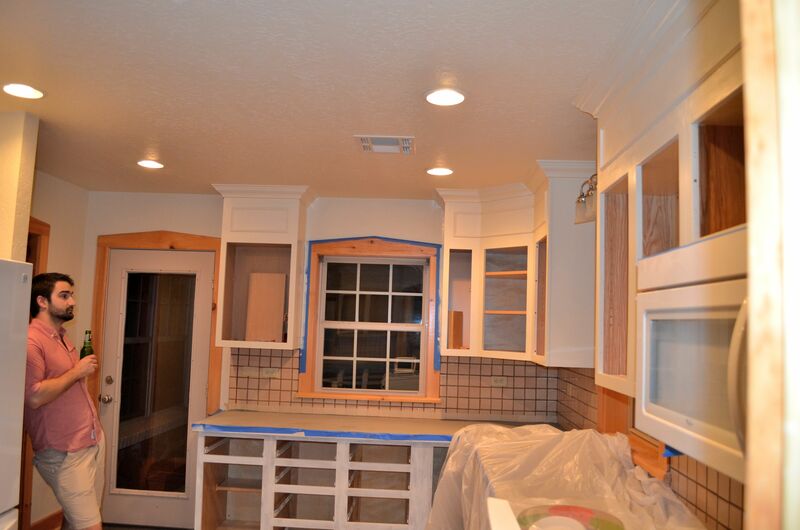 The next day I painted the cabinets Navajo White from Sherwin Williams. Originally we went with a more classic white but it was too… harsh for us. Too stark. We loved the idea of having a modern-ish country themed kitchen and the Navajo White supplied the right amount of softness. At one point I thought we would paint the walls a different color. We tried this green color and both immediately hated it. We slept on it and the next day still hated it. It was almost too suffocating. It felt too dark. 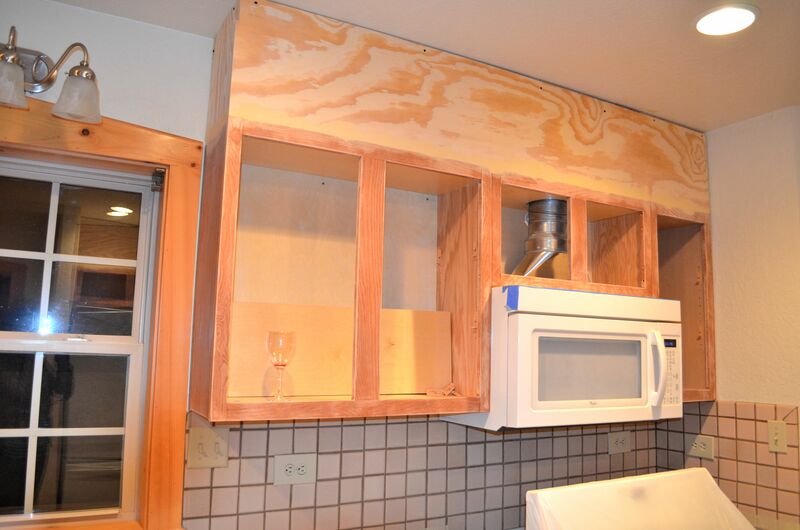 We want the kitchen to be airy and open. The green (although my favorite color) just didn’t work for either of us. So we painted it back to its original color. 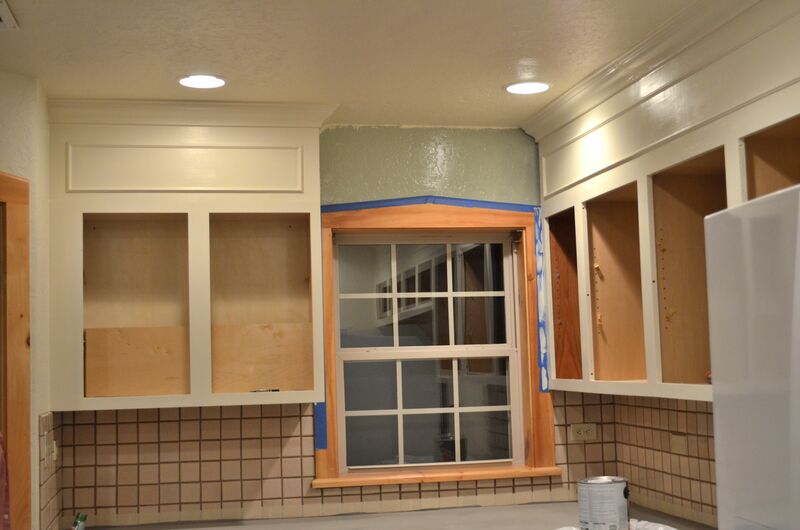 The quest to find a good kitchen wall color is there but not a priority. 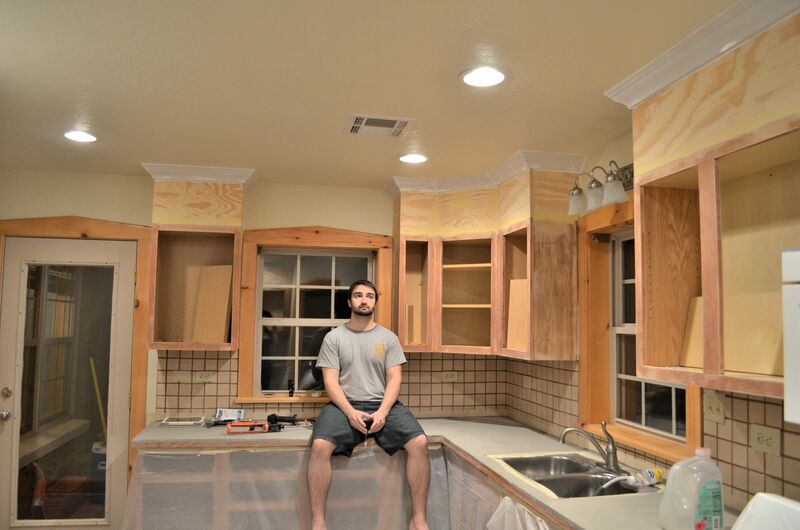 We realized we actually enjoy the look of the cabinets and walls as is. 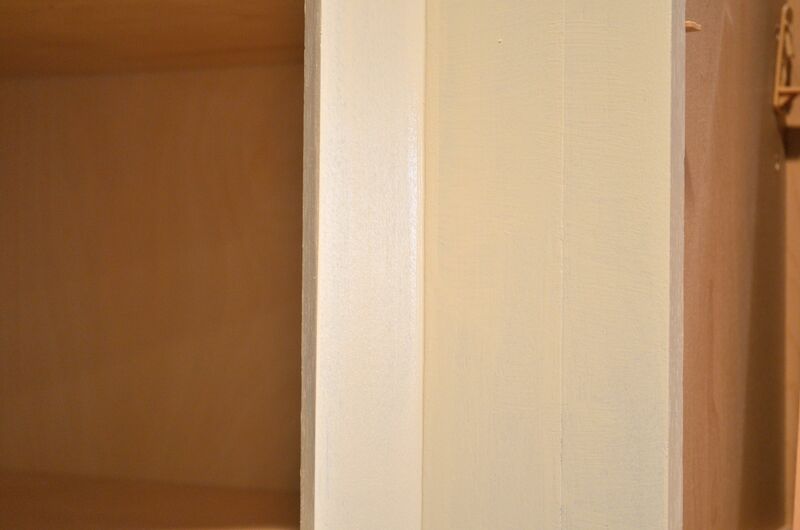 We figured when you find a perfect color, you know and right now the current wall color feels right. Maybe we won’t ever change it. Maybe we will have a change of heart and it’ll be green after all. For now though, it’s staying as is because it feels like home. We are so close to being finished. 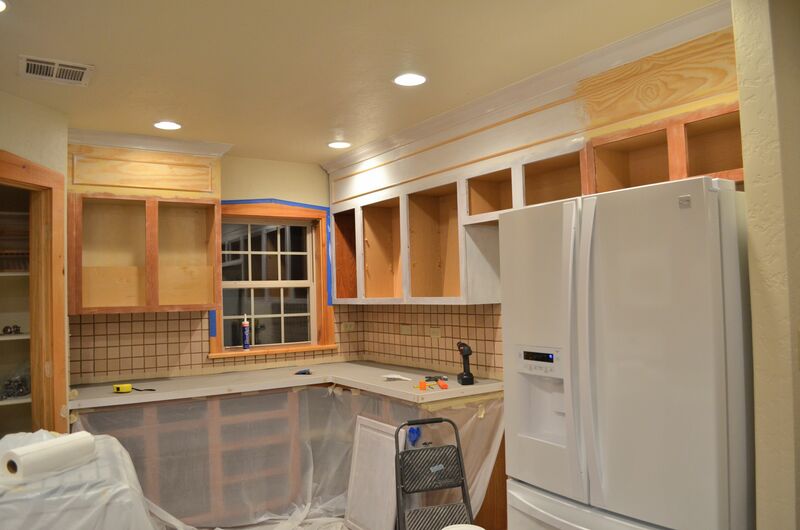 But first we have to stain and seal the counter tops, fill the space next to the fridge and start unloading our kitchen items before we can call it quits. Check back next week for the DIY counter wrap-up and a potential reveal (if everything goes according to plan!) of the Magic House country kitchen.